I came back to my Toastmasters club after being away for almost a year. I got a Master’s in Conference Interpreting, which means I did a whole lot of public speaking, speech writing and feedback sessions during that time. However, I felt a certain level of intimidation which lead me to procrastinate and put off Project 4 because everybody says that this speech is precisely when things start getting difficult. Being a skillful public speaker is no easy task and you can see how challenging it can be from your Icebreaker. So, what is it about Project 4 that makes it so challenging? In the opinion of several senior members of the club, the difficulty resides in the precise requirements you have to meet for this speech. The main premise of this project is that words are powerful because they convey your message and influence the audience and its perception of you. That is why you have to choose and arrange your words carefully. You have to make sure every word adds value, meaning and impact to the speech. If you want to do a good job, this will take time. How to prepare your speech. Since I had been away for so long, I felt I needed to go back to the basics. I looked over the executive summaries and evaluations of previous speeches. I actually paid special attention to Project 2 Organize Your Speech. My master’s taught me how to analyze the structure of a speech, and to me, making sure I had a good foundation, allowed me to stay on track. I found it very useful to write down the points I wanted to make in my speech on small note cards, using one card per idea and one sentence per idea, as suggested in the Competent Communication manual. Narrowing all the things I have to say down and making them fit in 5-7 minutes and three main points can be very challenging, but the note card technique helps me make my ideas more tangible, and since I can grab them and place them where I want, it’s also a good way to visualize the outline of your speech before you get to writing. The next thing I did, was to actually write the objectives of this project on a separate set of note cards. This was even more helpful to me that making a list on a piece of paper because I could constantly be referring to them in a three-dimensional sort of way. If you constantly check your objectives you can be sure you won’t leave any out and you won’t get side-tracked. August 1519. Two worlds collide: Old Spain versus Ancient Mexico; Hernán Cortés and Xicotencatl face each other, in a moment that changed the course of History. And in between them stands an interpreter. Her name is La Malinche. She spoke the language of the Mayans, the Aztecs and the language of the newcomers. 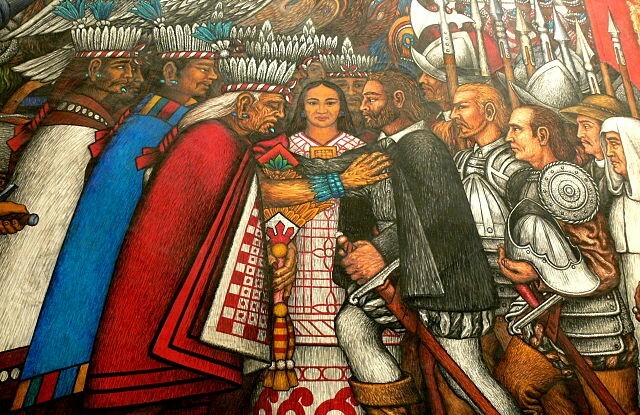 It was thanks to her intellect and her words that Hernán Cortés forged the alliances that brought down the mighty Aztec Empire and eventually gave rise to a new nation. La Malinche was Cortés’s interpreter. Fellow Toastmasters, Madam Toastmaster, I am an interpreter too. Please note that I said “interpreter” and not “translator”. This is because they are very different professions. Although they both love languages, interpreters deal with spoken language. Translators deal with written text. Interpreters work in the present allowing people to communicate here and now. Translators have the benefit of extra time. 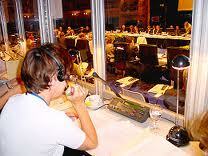 We could say that interpreting is like a live broadcast and translating like a recorded program. Imagine you are interested in becoming an interpreter. How do you go about it? While there isn’t just one correct way to become an interpreter, it is usually recommended to get a master’s in Conference Interpreting. Interpreters come from many walks of life, but regardless of your background, it is important to have a very broad general knowledge and a natural curiosity. At any given time, you might need to know who Mikhail Gorbachev is, why the Mona Lisa is also called La Gioconda, and of course you have to keep on top of current affairs. Now that we know that a potential interpreter needs to love languages, and trivia, let’s talk about the skills that you need to develop in order to become a successful professional interpreter. First and foremost, you need to work on your listening skills. Why? Because you can only interpret what you understood, and you can only understand if you were listening carefully. You also have to have an excellent short-term memory. How could you repeat an idea in a different language if you forgot what the speaker just said? The next skill you’ll have to develop is public speaking, very much like in Toastmasters, because after all, you are speaking to an audience. A good training program should also include a fair share of voice training to make sure we learn how to take care of our instrument. Finally, there needs to be a strong emphasis on stress management. Several studies have confirmed that interpreting is a high-stress profession. We are often under the pressure of having to present interpreted material in split seconds so that other people can make decisions based on that information. We are constantly multitasking: listening, speaking, reading, looking words up, dealing with strong accents, and with the unknown. I’m telling you, it’s like an extreme sport much better than bungee jumping in terms of adrenaline. Now let me show what happens once an interpreter is in the booth. Many people have asked me if we really interpret what the speaker is saying at the exact same time. Well, the truth not quite. In fact, we have to wait a few seconds for the speaker to utter a complete unit of meaning. We really can’t say a word until we know what the speaker wants to say. However, once we have our first morsel of information the true magic begins. Imagine that you are the speaker. You get invited to give a talk about something you feel very passionate about, such as, how to honor your own “negative” emotions to better deal with them. As your interpreter I would be sitting in my booth listening very carefully to what you say. I’d be looking for emphasis, body language, nuances and, of course, facts. Then, I would quickly analyze all this information, synthesize it and give it to the audience in a nice digestible package (in another language.) Keep in mind that as I speak, I will continue to actively listen to your message. As you might imagine, performing all these actions at the same time is very challenging because, on top of everything, you need to sound calm. 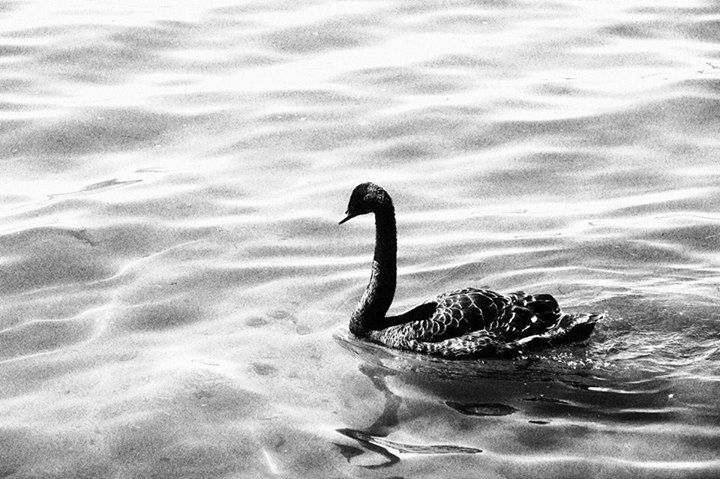 Just like swans,on the surface we will look elegant and in control of the situation, while underneath, we’ll be paddling for our dear lives. In a world in which everyone is learning English, why would anyone need to hire an interpreter? What value does interpreting add? If instead of forcing everyone into one language, we allow languages to be something plural, we will be establishing and honoring the social reality of difference. The value that interpreters add is that they handle these differences and still allow you to connect. They work in the present moment to create relationships and these relationships shape society. Since time, culture and power are now visible, interpreting helps us use languages in a truly plural social interaction that can bring about change, big change, that can even alter the course of History. Timing: 7:01. Although I was within the limit, this was perhaps the most challenging aspect about preparing for the speech. It took a lot of effort to get it down from its original 11 minutes to 6:50 when I was practicing. I think part of the problem was in fact the word density, and the fact that I use pauses and intonation to make sure my speech is musical and pleasant. A good way for me to practice timing and make sure I’ll get it right is to record myself with my webcam or smartphone. That way I know exactly how long I’m taking, I pinpoint difficult sections, awkward movements and pronunciation errors. Most of the content came from my own recent experience and from all the stories I heard about La Malinche while growing up in Mexico.